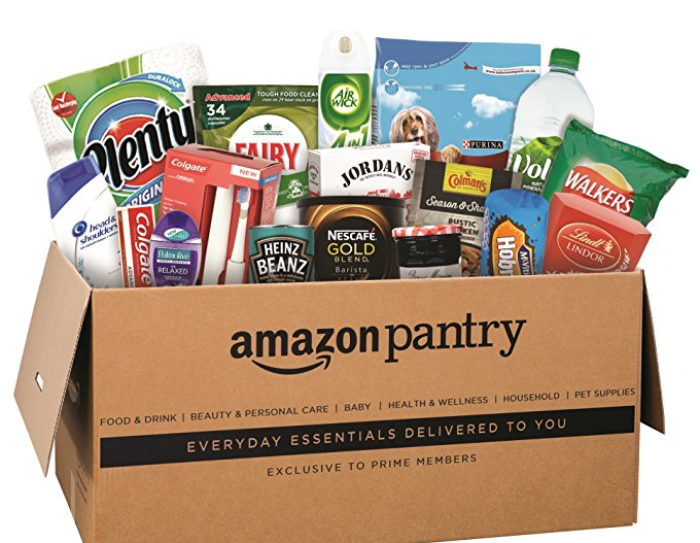 In November 2015, Amazon.co.uk launched Amazon Pantry, a new nationwide service exclusive to Amazon Prime members. Amazon Pantry offers more than 5,000 low-priced everyday essentials in everyday sizes, including food and drink, household supplies, baby and child care products, pet, and health and beauty products. Customers can fill up as much or as little of an Amazon Pantry box as they wish with £2.99 fee for the first box and 99p for each additional box in the same order. Prime members can track the space available in their Pantry box based on the size and weight of the selected items. Pantry boxes can carry up to 20kg and as items are added, Amazon Pantry shows how much space is left in the box. Customers can choose to buy as much or as little as they wish and if an order exceeds the size of the current box, a new Pantry box will automatically begin. With Amazon Pantry, Amazon also offers curated lists to help customers find what they need for occasions and activities such as parties, a new baby, a weekend away, a night in and their morning routine. Customers can also fill and send Amazon Pantry boxes to family and friends.